I'm pretty pleased with out my little low volume quilt turned out. 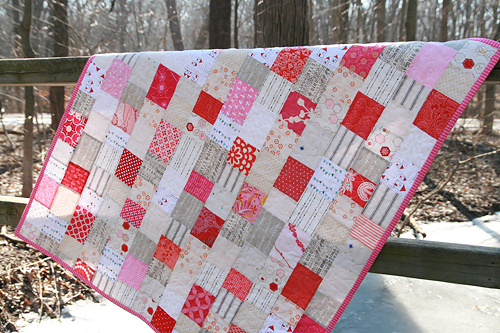 As I mentioned earlier this week, I used the "Inside Voices" fabric bundle, sent to me by Amanda at Westwood Acres. I just checked and I see they are out of the bundle, but keep an eye on their shop, they were so popular that I'm sure there will be new bundles in the future! 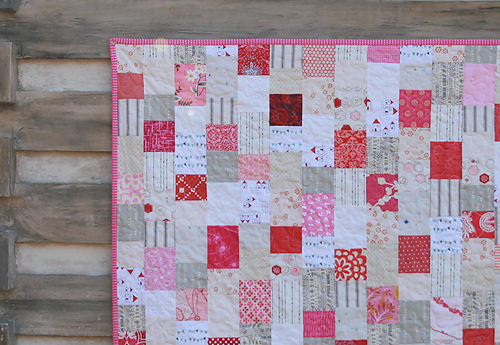 I decided to feature bold pops of red and pink with the quieter neutral prints in the quilt. I think this is a fun way to draw attention to a single color family or range. I chose my colors in honor of Valentine's Day this week. All my cut pieces were 3.5" wide. The lengths varied from 3" to 4.5". 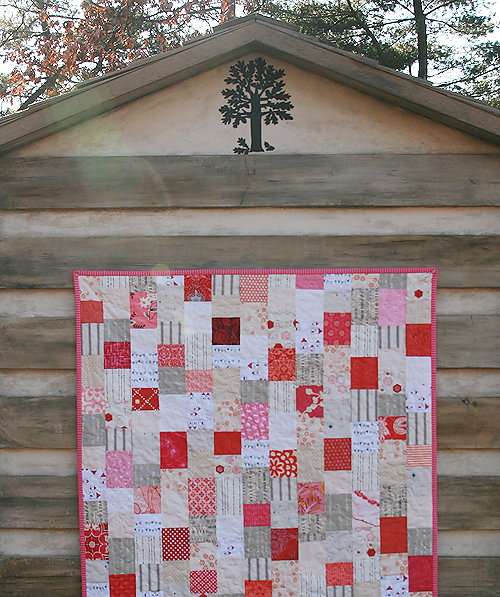 The finished quilt measures around 44" x 45". It was fairly easy to assemble - simply sew the fabric into strips/columns and then sew those together to make the top. I didn't pin my strips together when sewing them to form the top and I regret that. I ended up with some drifting and a not perfectly square top that gave me fits. Sigh, live and learn. The backing is a dot from Tanya Whelan's Delilah Fabric. 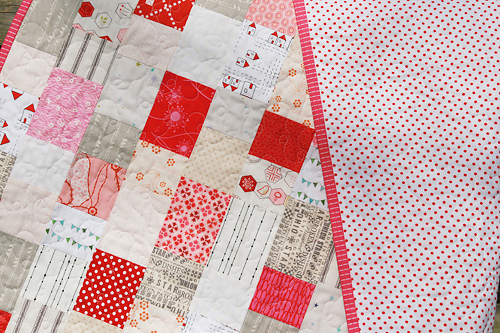 The binding is a fabric called Running Stitch by Patty Young's Lush collection. 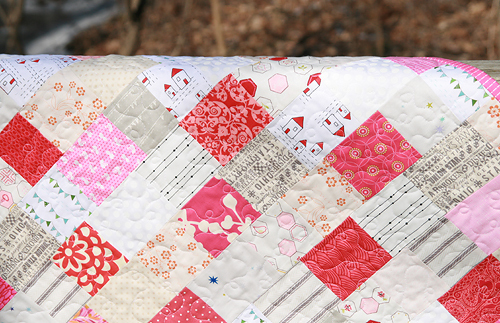 I quilted this one free motion with little loops all over. 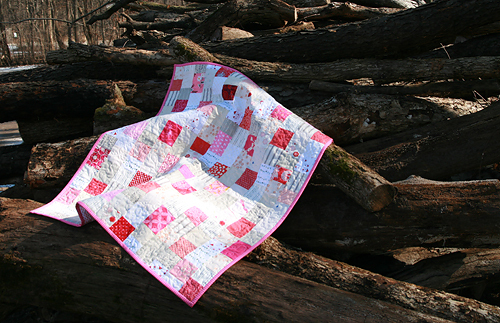 I do love the finished product, and the size is perfect for a baby quilt. Next up - basting a quilt I finished for my son. Not sure if I have the energy to make it to the sewing room today, but hopefully this weekend!